Illinois Public Radio's Amanda Vinicky wraps up Democrat Day at the 2014 Illinois State Fair. Even as states like Ohio, Iowa and Wisconsin are known as political battlegrounds and bellwethers, Illinois has the reputation for being a solid "blue" state. Illinois sends double as many Democrats to Washington as it does Congressional Republicans. The state legislature tips heavily in favor of Democrats, who hold veto-proof majorities. And it has been more than a decade since a Republican last sat in Illinois' governor's seat. 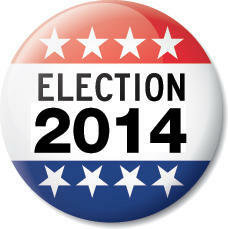 But polls indicate that may be changing - the governor's race has been called the country's most competitive.